Lillet Blanc French Vermouth is a popular Vermouth and Aperitifs available from DrinkSupermarket.com in 75cl to buy online. Visit DrinkSupermarket.com for the best price for 75cl of Lillet Blanc French Vermouth or compare prices on our other Vermouth and Aperitifs products. Lillet (pronounced lee-lay), is a French Aperitif made from a blend of wine, liqueurs, fruits and herbs. It originated in the French village of Podensac and has been made since the late 1800s. Lillet Blanc is made from white wine and is drier than Lillet Rouge, its red-wine counterpart. Both are classically served over ice with an orange twist. Lillet is a blend of rigorously selected wines and fruit liqueurs, aged in oak vats for around 12 months, during which it is given the same care as the Grands Crus (great wines) of Bordeaux. Lillet Blanc has a golden colour with candied orange, honey, pine resin, lime and fresh mint aromas. Full and rich on the palate with a lovely, long aftertaste. Always serve well chilled in a Bordeaux wine glass... zest with a slice of orange or lime. Perfect with snacks and desserts! Lillet blanc is the key ingredient in James Bond's Martini derivative, the Vesper, a drink created in deference to the beautiful double agent in Ian Fleming's Casino Royale and reffered to as Kina Lillet. 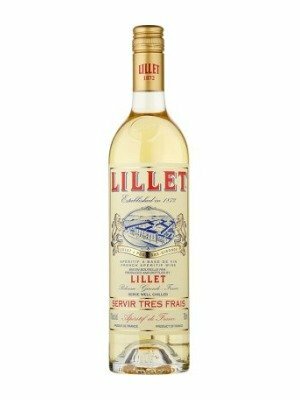 Where to buy Lillet Blanc French Vermouth ? Lillet Blanc French Vermouth Supermarkets & Stockists. You can buy Lillet Blanc French Vermouth online in most retailers and find it in the Vermouth and Aperitifs aisle in supermarkets but we found the best deals online for Lillet Blanc French Vermouth in DrinkSupermarket.com, TheDrinkShop, and others. Compare the current price of Lillet Blanc French Vermouth in 75cl size in the table of offers below. Simply click on the button to order Lillet Blanc French Vermouth online now.